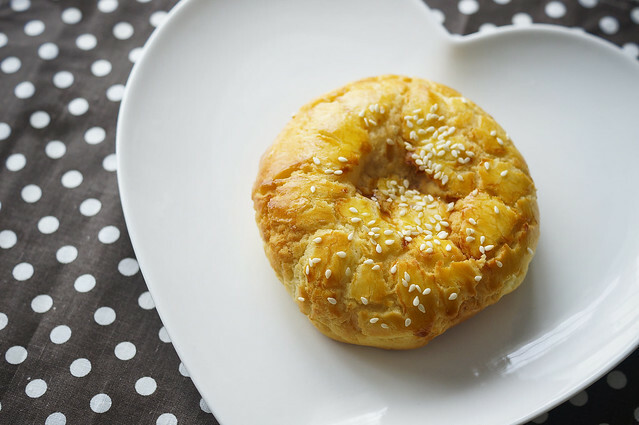 Where can you get the cheapest golden sand custard bun (黄金流沙包) in Singapore? Baker Talent’s golden custard bun only cost me $0.90 each. This bakery’s bread is not exactly the best tasting one in Singapore but i can say that it’s definitely one of the cheapest around town and the taste is actually quite decent. 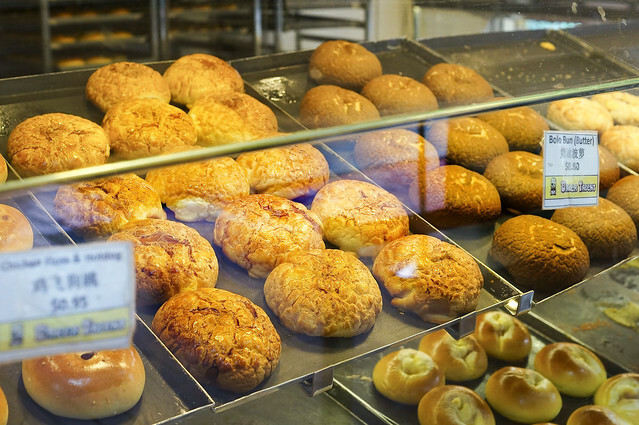 The price of every bread in the Baker Taleny does not exceed S$1.00 each. Even the Polo Char Siew bun only cost me S$0.95. That’s cheap isn’t it? 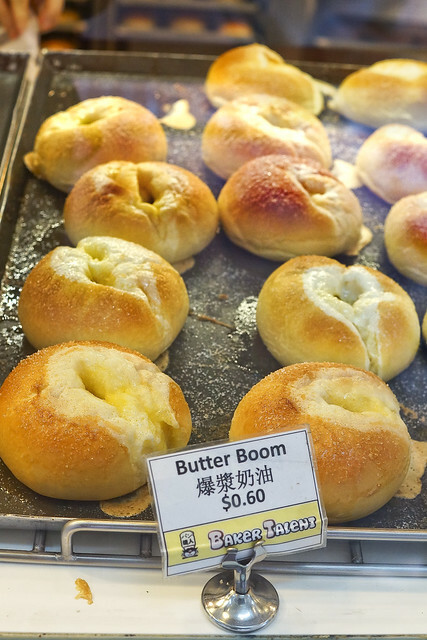 I have yet to try this “Butter Boom” (爆浆奶油） at only S$0.60. A friend told me the taste is only so-so and the butter don’t even “burst” out. If anyone had tried before, feel free to leave a comment on the taste. 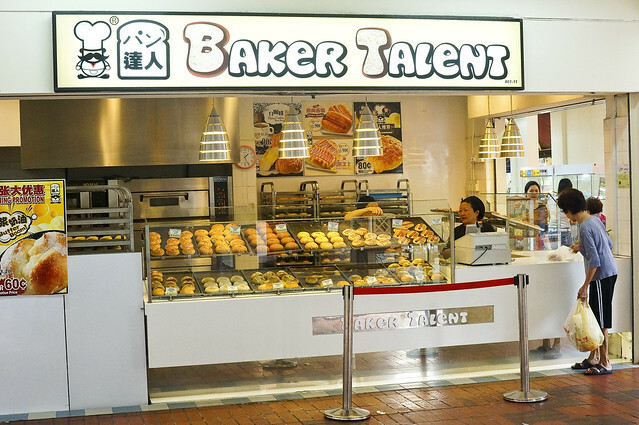 Baker Talent had kept the price of their Golden Sand Custard Bun at a “promotional price” at $0.90 for a couple of years since their opening in Singapore. I had also tried Barcook Bakery’s version and the main difference between the two is taste of salted egg yolk. 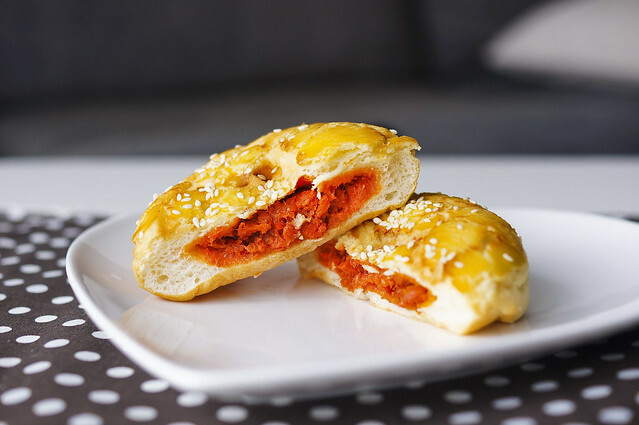 Barcook Bakery’s version is more buttery and sweet and i can’t taste any salted egg yolk while the Baker Talent’s version is almost similar to those at Dim Sum place but only it’s the bread version. I prefer Baker Talent’s to Barcook Bakery’s because i like the salted egg yolk taste rather much. The custard is smooth with a moderate taste of salty egg yolk but the only thing is it’s a little sweet. 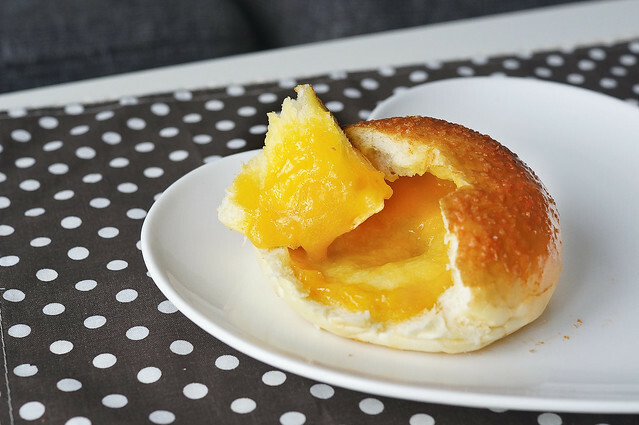 It may not be the best tasting molten custard bread bun around and… wait… there aren’t many molten custard bread bun around in Singapore! And don’t forget it’s only S$0.90. I thought this is value for money at a rather decent taste. I also think that this should be Singapore’s cheapest Polo Char Siew Bao at only S$0.95. A crystal jade bakery one would had cost me about S$1.50? The crust on top taste a little like a less sweet butter cookie coating and the Char Siew is a little bit dryer, comparing to Crystal Jade’s but taste is OK.
Again i need to emphasis this may not be the best tasting bakery in Singapore, i thought that Baker Talent offers their bread at a great value and i hope the price remains this way. I still remembered Barcook Bakery’s nachos cheese bread only cost S$1.20 and now it’s like S$1.60 or $1.70. The bread of Baker Talent is soft and fluffy enough for same day consumption and if you are really broke and waiting for pay day, why not drop by to stock up some bread. LOL.